Backyards and patios are always an open invitation for all manners of wildlife to try and find a new home, and while some of them you can easily and safely get rid of, it’s a whole other matter when it comes to coyotes. 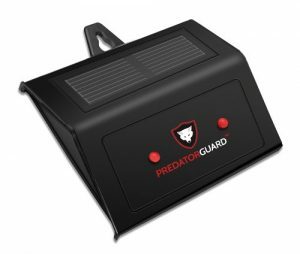 While not dangerous, these are definitely some of the most annoying trespassing animals you can find yourself dealing with, and while the best course of action to take is to repel and prevent them from nearing your home altogether, you’ll find that coyote traps are the best solution for you if they do manage to get into your yard. 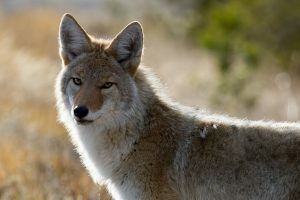 Coyotes aren’t wolves and they are roughly the same size of a medium dog, but they still prey on smaller animals in order to eat, so pets that dwell and sleep outside are at the forefront of a coyote attack. Since these animals usually trespass into backyards in search for food, they can break or dig holes under chainlink fences, aside from overturning trashcans and breaking into sheds if they smell potential food. This is a common issue with all wildlife in domestic settings. The aforementioned overturning of trashcans, combined with the ripping of garbage bags, can contaminate and pollute your yard, bringing odor and messiness into your home. 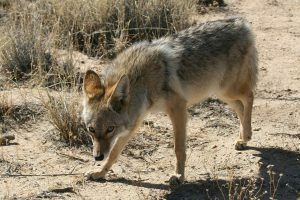 Coyotes’ fur can leave dozens of fleas and ticks in your yard that pose a special kind of risk if your pets come in and out of the house freely. Remember that ticks cause Lyme disease, and fleas carry the bacteria for Typhus, making contact very risky, so keep this in mind when setting coyote traps. Coyotes tend to hunt during the night, so make sure that your pets are sleeping inside the house to show the coyotes that there isn’t anything to be preyed on in your property. This will deviate their interest and make them search for food elsewhere. Make your pets eat inside the house, and keep all manners of food and produce inside as well. Reducing the amount of any potential food will keep coyotes from hunting and scavenging in your property. The maintenance of your yards and gardens is paramount to keeping coyotes away, seeing that if they don’t have long grass or big, heavy bushes to hide in, the probabilities of them keeping their cubs in your backyard decrease. If prevention failed or if you are already dealing with coyotes in your yard during the night, it’s time for you to set a coyote trap, and there are several ways to effectively and safely trap a coyote without harming it or yourself during the process. 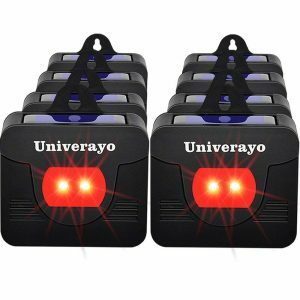 A humane way to catch one of these animals is with a collar capture device, which will immobilize it without harming it in the way a coil spring trap might; other options you have include humane predator control lights which are non-toxic solar powered lights or a large, heavy duty cage. 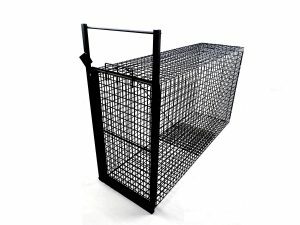 Just remember that before using them, you should read up on the trapping regulations for your state to determine which traps are legal in your area. An important part of this process in the coyote trapping set you use; these can vary from trap to trap, and it’s likely you won’t find two identical settings, but these are the key to getting a coyote caught. An effective trapping set is the dirt hole, which consists of digging a small hole in the ground similar to those built by small birds and rodents, and placing the trap inside, along with bait to lure the coyote in. Other coyote trapping sets include a scent post, which involves setting bait near the trap with the help of a stake, and a flat set, which is similar to the dirt hole, except with this one you don’t have to dig a hole in the ground. Once you’ve chosen your coyote traps and setting, you can get to work and finally get rid of these pestering animals.